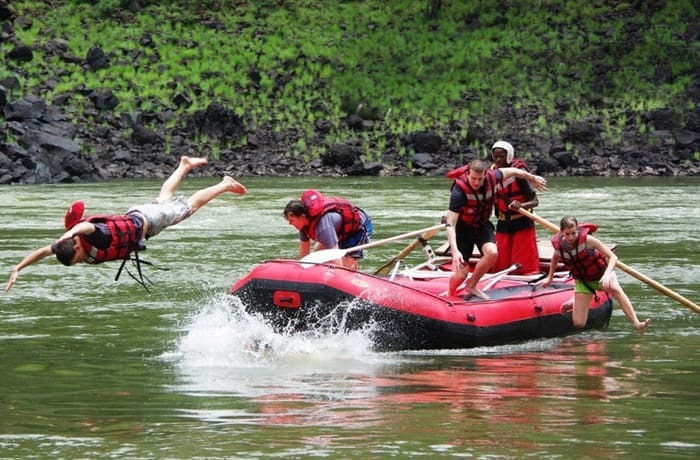 Join Bundu Adventures for a full day rafting adventure and experience. 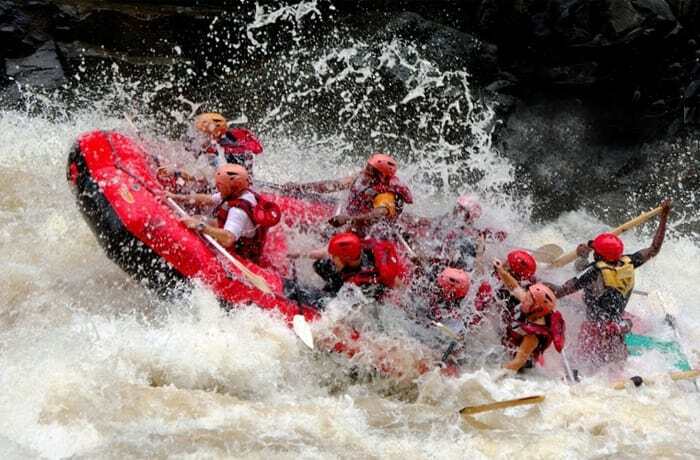 The most exciting and challenging rapids rafted anywhere on the planet! The Zambezi River below the Victoria Falls is widely considered to be the very best rafting river in the world. 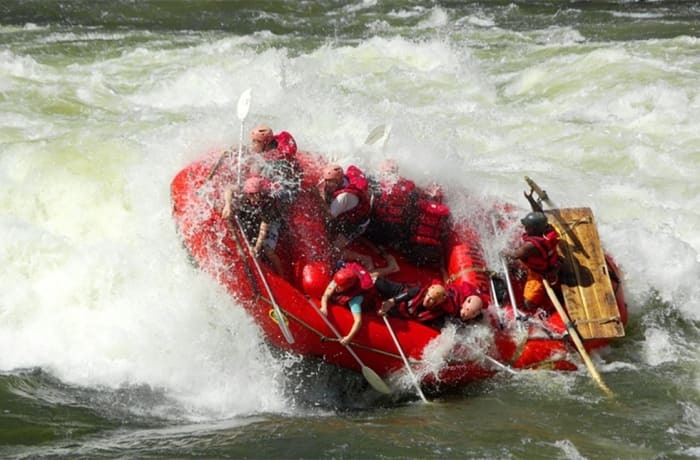 A deep channeled, high volume river, the Zambezi has class 3 to 5 rapids interspersed with tranquil pools. Pick up 08:00 am directly from your accommodation. Check-in next to the Victoria Falls. Starts from rapid 14, 10 or 7 (depending on the water level). Lunch and drinks at 'The Gemstone' Restaurant. Return to your accommodation between 14:00 - 15:00 hrs. The given times include pick up from accommodation in town, safety briefing, hiking the gorge, cable car ride, lunch, transfer back to town. Duration: Approx. 6 hours. 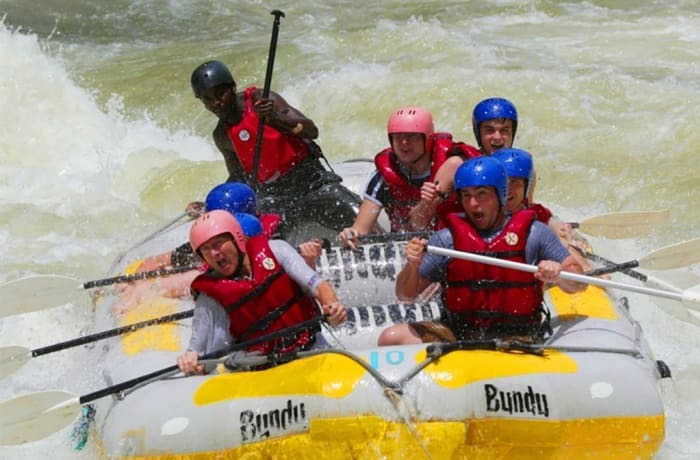 Bundu Adventures offers white water rafting on the mighty Zambezi River. This gives you the chance to look at the breathtaking beauty of the Batoka Gorge between some of the most thrilling and challenging rapids. 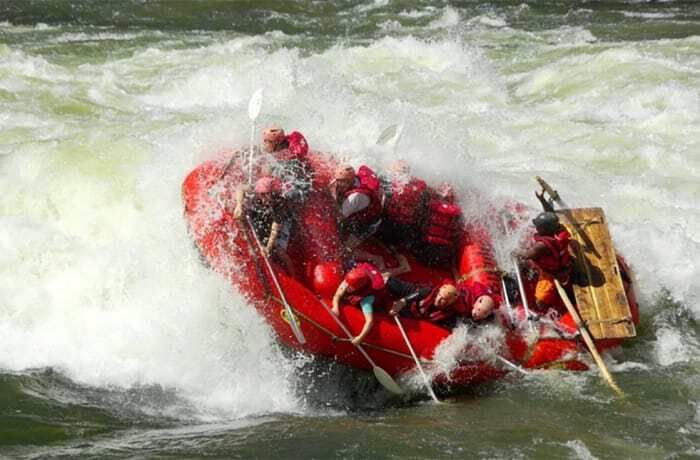 Bundu Adventures offers three types of rafting experiences, low water, high water and multi day rafting.